Security-conscious companies and managed security providers are confronted with an increasing number of gateways in their networks. Managing hundreds or thousands of systems can require a costly, timeintensive process by qualified staff. Barracuda Firewall Control Center can significantly decrease administrative overhead. 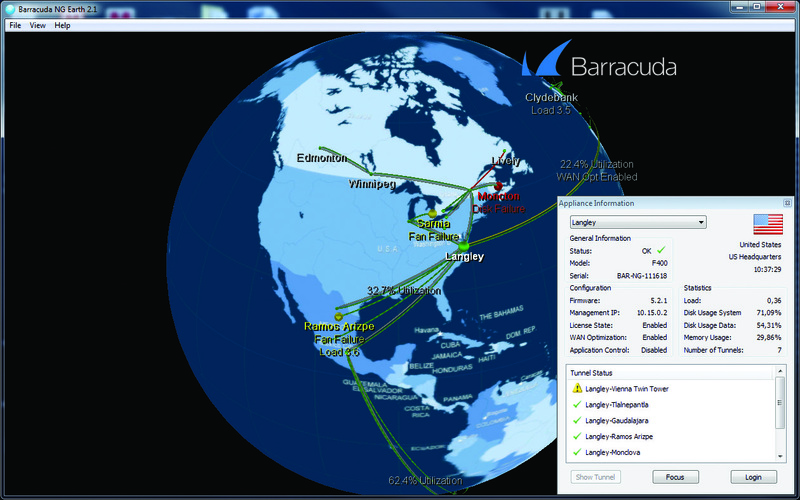 Barracuda Firewall Control Center gives full control over system administration costs. Lifecycle costs: Central update management drastically lowers the time spent deploying patches. Even Barracuda CloudGen Firewall, with different software versions can be centrally managed at the same time. Deployment costs: Using Barracuda Firewall Control Center, rollouts with hundreds of devices can be completed within a few weeks instead of months. Operating costs: Barracuda Firewall Control Center helps to significantly reduce the cost associated with security management while providing extra functionality both centrally and locally at the managed gateways. "As a company with internationally distributed facilities, the centralized management concept particularly impressed us – Barracuda therefore quickly became our partner of choice."